January 2019 Update. Apple's MacBook Pro 15 offers very high performance. But the world of Windows also has several interesting devices to offer in the area of high-performance 15-inch notebooks. 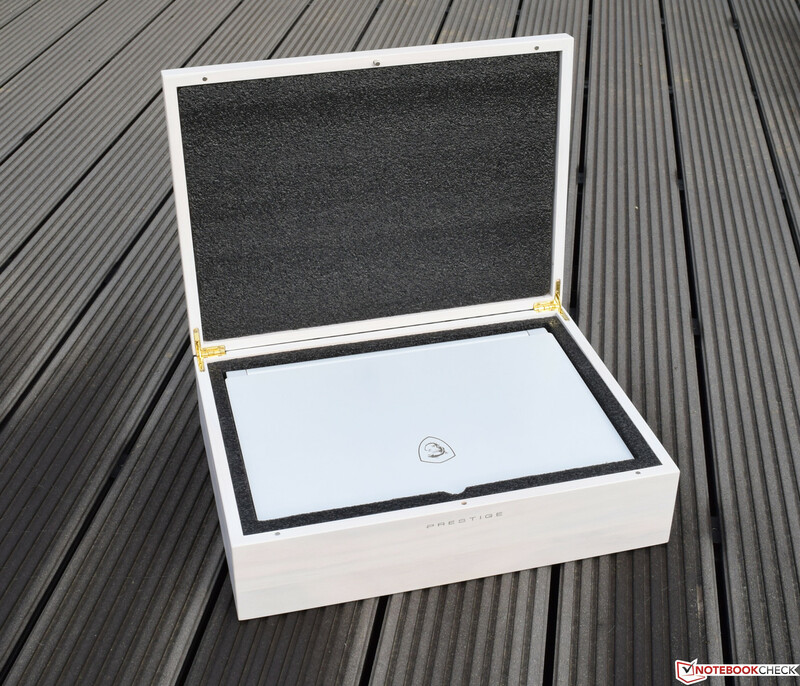 Read on to find out more about our top competitors for Apple's high-end laptop. Update 01/2018: For more clarity, we have decided to separate the lists of the top Windows alternatives for Apple’s MacBook Pro 13 and 15. The following table shows a collection of MacBook competitors based on the Windows operating system that have been tested by Notebookcheck in the past 12 months. If the devices received the same rating, we prioritized the more recent review. The table can be sorted by clicking on the headlines and filtered with the search bar (for example, by searching for "matte"). Lenovo's ThinkPad X1 Extreme is a very well-equipped notebook for many different usage scenarios. You have the choice when it comes to the display: Better picture quality or matte screen with longer battery runtime: The 1080p panel consumes less power, so the stamina is superior compared to the 4K HDR SKU. The Lenovo ThinkPad X1 Extreme is a multimedia laptop with excellent performance figures and a lot of features. It combines multiple devices, because you can use it as your daily business device and the use the CPU/GPU performance to play some games after work. We liked the 4K panel with HDR support as well as the high-quality chassis and the excellent input devices. The CPU performance is very good and the system noise is very adequate during everyday tasks. The CPU performance is unfortunately reduced on battery power. The battery runtime of the X1 Extreme is not great, either, and WWAN is not available at all. All in all, Lenovo still offers a very good 15.6-inch notebook. 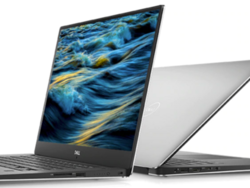 Dell managed to make a good notebook with the 2018 XPS 15: Emissions, runtime, and ports have been improved and result in a good rating in combination with the very fast processor. The CPU/GPU combination with the quad-core and the GeForce GTX 1050 also ensures decent frame rates during gaming. Things like the good accessibility of the ports and the matte screen with excellent contrast and high color accuracy are other highlights. Dell equips the high-quality chassis with convincing speakers. We cannot really recommend the Core i9 SKU because the cooling system does not appear to be powerful enough and the system performance is not much better compared to the Core i7 model. You will get a worthy MacBook rival if you choose the right, and it does not have to hide in terms of the design. HP's EliteBook 1050 G1 is a completely new series without a direct predecessor. It is a successful and well-built multimedia notebook, and there is not much to criticize about the input devices, either. The glass trackpad is comfortable, only the keyboard is not perfect, but this does not affect the good overall impression. HP uses a matte 4K screen with a bright backlight, which is hard to find in this segment. It looks like HP tried a bit too hard with the EliteBook 1050 G1, because we expected a bit more for this price. 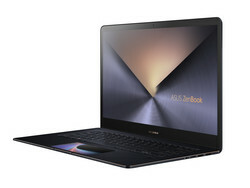 All in all, the business-multimedia notebook is not as good as the Dell XPS 15. 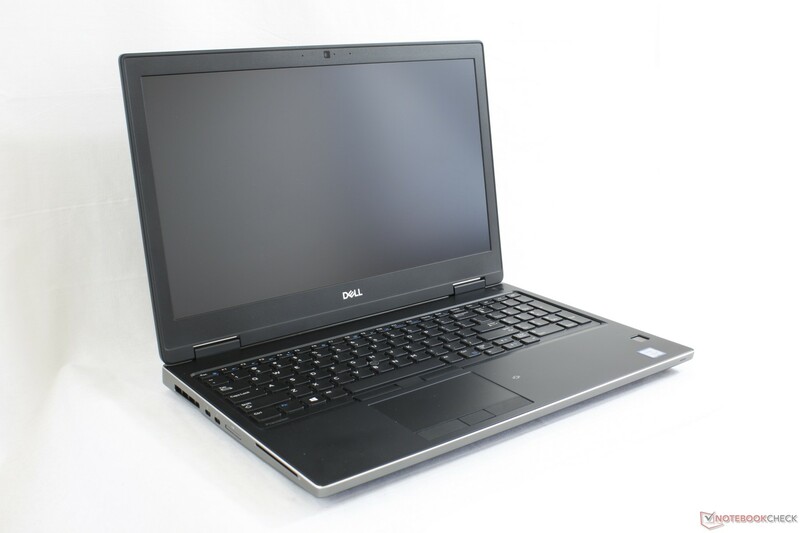 The Dell Precision 7530 is a 15.6-inch workstation. A real workhorse, which cannot keep up with the MacBook Pro 15 in terms of glamour. However, it is available with an optional WWAN module, which might be important for some potential buyers. We primarily liked the display with full AdobeRGB gamut, good features, the robust chassis and the steady performance during our review of the Dell Precision 7530 – it is also very quiet during light workloads. This changes when you stress the system, because the fans get loud and the CPU temperature is high as well. It is also unfortunate that you only get two USB-A ports and the Core i9 processor cannot utilize its full performance potential. The screen is also a bit grainy and we detect PWM. 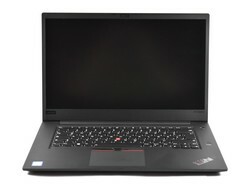 The Lenovo ThinkPad P1 is the first "thin-&-Light" model of the Lenovo ThinkPad P-series. The ThinkPad P1 does not use a unique body though, but is based on the ThinkPad X1 Extreme. 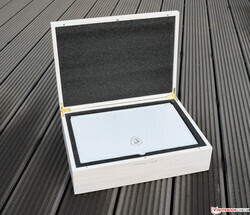 This is no problem since the very lightweight carbon-aluminum case is very stable and well-built. Except for this, the ThinkPad P1 also convinces with excellent input devices, good CPU performance, a good 4K screen with wide color gamut, the quiet cooling and the easy maintenance (2x RAM & 2x SSD slots). The two biggest drawbacks are the glossy panel surface and the short battery runtime in our Wi-Fi test. There was also some creaking on our lid and the fans sometimes start spinning while idling. 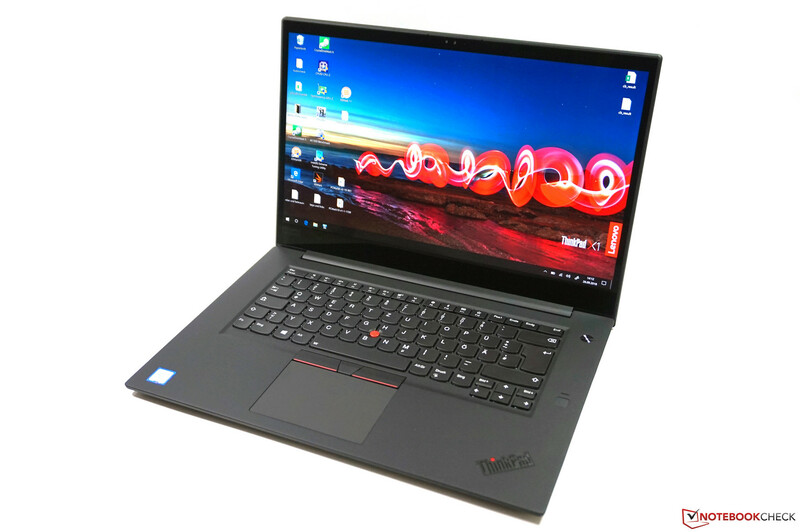 The ThinkPad P1 is also a very expensive laptop, which might scare off some potential buyers. Asus thinks the TouchBar is outdated and replaces the whole touchpad with a touchscreen. This is surprisingly practical: You can just use the screen as a regular touchpad with some additional features or run dedicated apps like a calculator or music player. Except for this highlight, the Asus ZenBook Pro 15 UX580GE is a very sophisticated with vivid screen, two Thunderbolt ports, and fast WLAN. You have to live slightly wider bezels and shorter battery runtimes compared to many rivals, though. The MSI P65 8RF Creator convinced with very good performance results during our review. The Intel Core i7-8750H is very fast and the multimedia device is also a good gaming laptop thanks to the GeForce GTX 1070 Max-Q. The device is primarily designed for content creators who do not want to compromise on performance and ensure a fast system when they use applications like Adobe Photoshop and Adobe Premiere. Our tested special edition, which is only available in white, is equipped with the GeForce GTX 1070 Max-Q. MSI ships the device in a nice wooden box including a sleeve. The device appears very noble, but the stability could have been better. In return, however, the MSI P65 8RF Creator convinces with its low weight as well as the compact chassis. We liked the 144 Hz panel and could not detect PWM or clouding. The limited maintenance is unfortunate, just like the single storage slot. The lack of a card reader is another drawback. 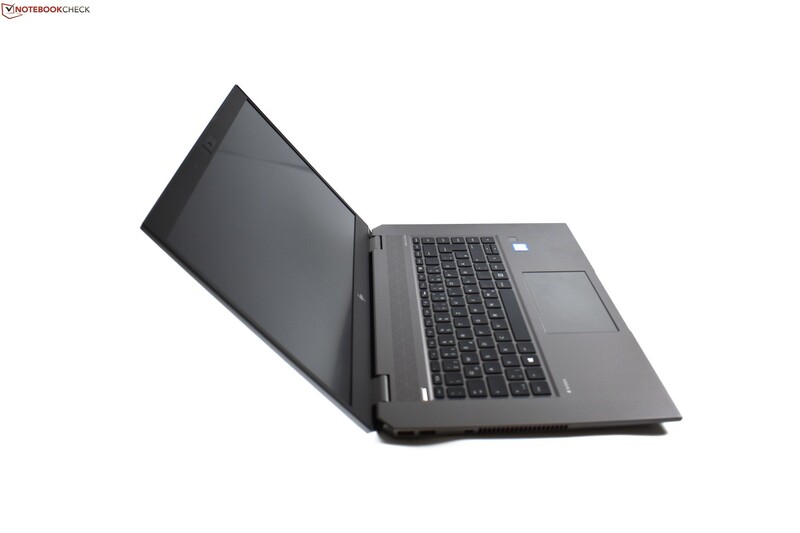 The MSI P65 8RF combines multiple devices. During the day, you can easily use the subtle and stylish device for work, but the notebook can also handle modern games in 1080p and maximum details in your free time. 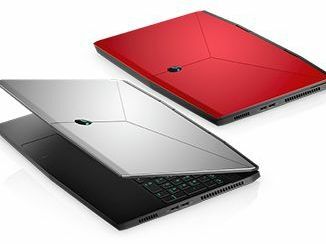 Alienware is a bit late when it comes to slim-bezel gaming laptops, even though the lower and upper display frame of the brand-new m15 are once again comparatively thick. As per usual for Alienware laptops, the design is very striking – whether you like that or not is a matter of taste. 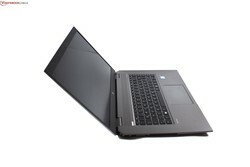 Dell offers numerous hardware options for the m15. Besides a 1080p/144 Hz screen, the manufacturer also offers a 4K-UHD panel. The battery capacity varies between 60 and 90 Wh depending on the SKU, and the 15-inch laptop lasts surprisingly long with the big battery option. Also great: Thanks to the improved maintenance, access to the components is much easier compared to the previous model. We are also surprised by the good Turbo utilization of the CPU considering the slim chassis (2.1 cm). The biggest issues are the sound quality as well as the lack of a card reader. 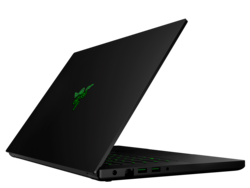 Razer offers a Pro and a Base model of the Blade 15, so you can decide between the high-end and the less expensive SKU. The Base model is a bit thicker and uses two conventional fans for the cooling, but is even superior to the Pro model in some areas: It offers an Ethernet port as well as a 2.5-inch slot for hard drive or SSDs, respectively. 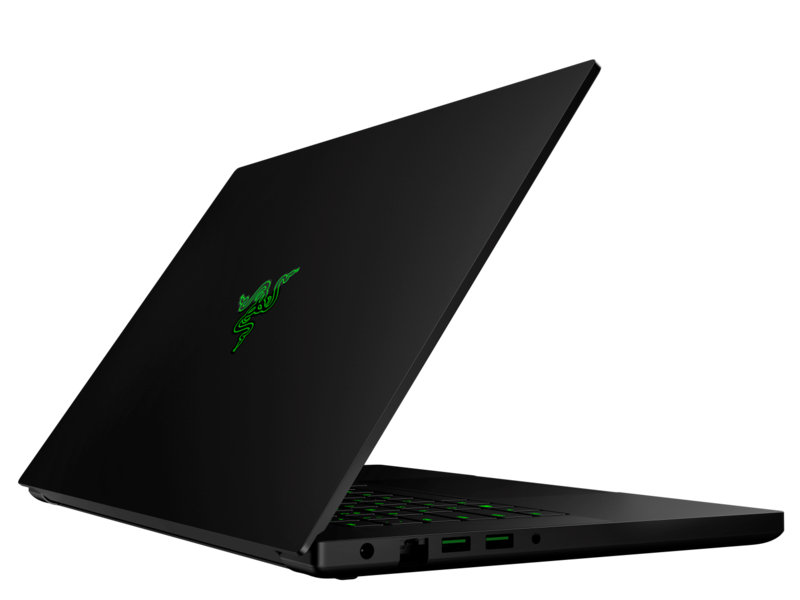 It does not matter which model you get, the stylish metal body of the Razer Blade 15 is among the most noble, high quality and well-built cases you can currently get. Keyboard, touchpad, and display do not have to hide behind the rivals, either. The 15-inch laptop offers plenty of high-end features, despite the compact dimensions. This includes the Core i7-8750H, GeForce GTX 1060 Max-Q or the SSD. You can adjust the software and hardware comprehensively via Razer Synapse (like the RGB illumination). The Blade 15 just misses a "very good" rating. The sound and the somewhat limited port selection (no card reader) are among the biggest drawbacks. The battery runtime is also significantly shorter compared to the Aero 15X. Frequent travelers and gamers with a focus on design still can't go wrong with the Razer. 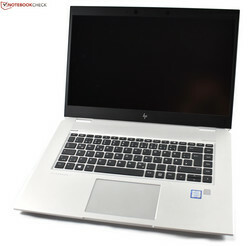 ZBook Studio, third attempt – HP updated its slim high-end workstation with modern processors and graphics cars, including a complete redesign of the chassis. 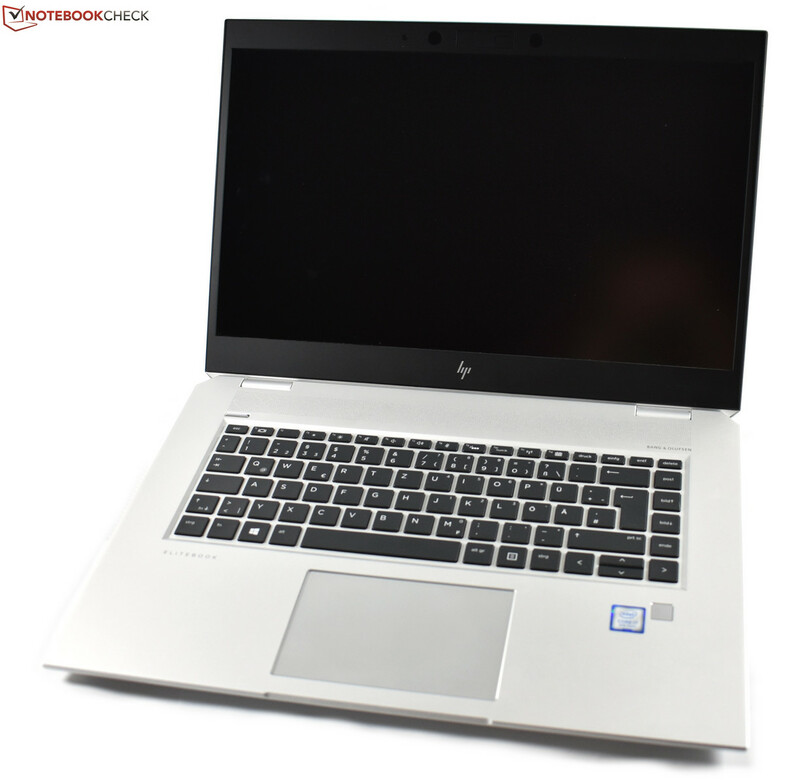 The new HP ZBook Studio G5 convinces with its extremely well-built metal chassis, the good and matte 4K-UHD display as well as the serviceability, which is great with two SSD and two RAM slots. The device offers many ports and performs very well. Negative aspects include the high weight compared to its direct rivals, for example. The performance is also limited on batter power and in the stress test. The very high price might scare off some users as well.